Wild rivers, cascading water falls, untamed wildlife and distant peaks still crowned in snow highlight this magnificent trip. 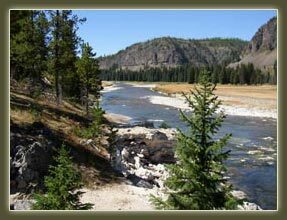 The trip is rated moderate and is based in Gardiner, Montana. Yellowstone Backpacking! Lush meadows, spectacular water falls, bubbling hot springs and majestic rivers highlight the scenic wonders of the Bechler region of Yellowstone National Park. We venture into a portion of the park far from the busy main roads and tourist centers of the park. 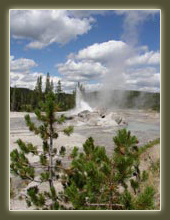 The trip is rated moderate and is based in Jackson Hole, Wyoming. Yellowstone Backpacking! The furthest point from any road in the continental United States is located deep in the wilds of Yellowstone's Thoroughfare region. This is an area where a person can still experience wilderness as it was hundreds, perhaps thousands, of years ago. 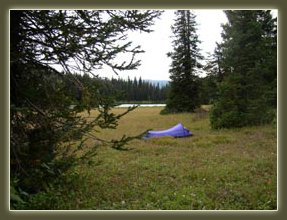 Wild rivers, remote lakes and abundant wildlife characterize this trip. 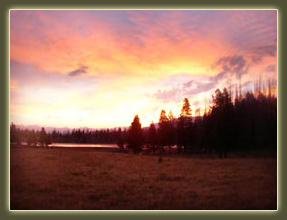 The trip is rated strenuous and is based in Jackson Hole, Wyoming. the wonders of Yellowstone National Park are even more spectacular in fall. The crowds are few, the trees are turning bright colors and the animals are beginning to call in anticipation of mating season. Join us for 5 days of awe-inspiring hikes. Each night we return to cozy, rustic lodging and sumptuous meals. The trip rated moderate and is based in Jackson Hole, Wyoming.